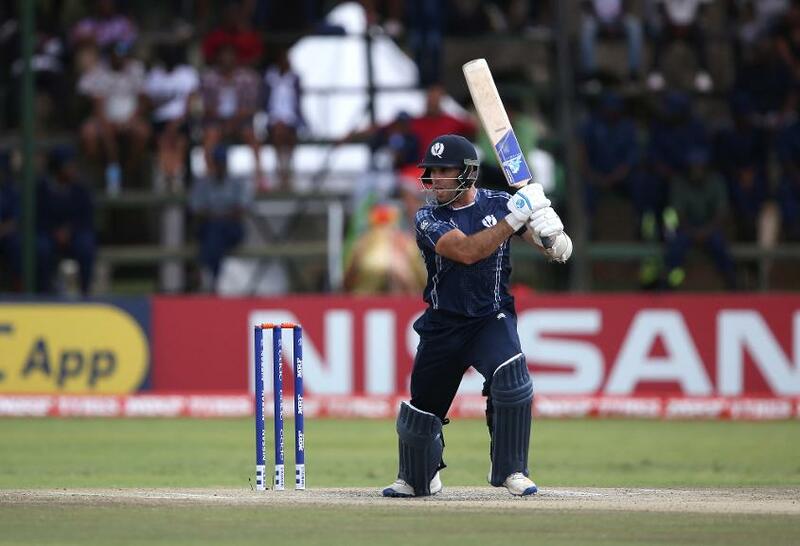 Scotland, outstanding in the group stage, failed to make the cut for the 2019 ICC Cricket World Cup after twin losses in the Super Sixes, but can be proud of what they achieved in the qualifiers. In the end, it was a matter of just five runs – when the rain came down in Harare during Match 7 of the Super Sixes, Scotland were 125/5 in 35.2 overs chasing Windies’ 198. Had they been 130/5, they would have booked their ticket to next summer's World Cup. Scotland did almost everything right in Group B, reaching the Super Sixes on the back of three wins and a tie with Zimbabwe. They started the Super Sixes on a good note too, with a 73-run win over UAE. But things went wrong after that. The best aspect of Scotland's performances was that they played as a team throughout. There were some outstanding bowling performances, led by the seamer Safyaan Sharif, as Afghanistan were bowled out for 255, Hong Kong 91, Nepal 149, and Zimbabwe 210 in the first round. They conceded 271/9 against Ireland in what proved to be a pivotal defeat, but were back at their best in the field against Windies, when the favourites were shot out for 198. Sharif was certainly the standout performer, picking up 17 wickets in seven games with an economy rate of 3.86, while Brad Wheal was also impressive, with 12 wickets at an economy rate of 3.60. The other premier bowlers – Tom Sole, Alasdair Evans, Michael Leask and Mark Watt – also did well, while the experienced Richie Berrington contributed with bat and ball. Among the batsmen, Calum MacLeod played arguably the innings of the tournament in the victory against Afghanistan on his way to a tally of 303 runs, while Kyle Coetzer (276), Berrington (230), Matthew Cross (183) and George Munsey (134) were also in good nick. In both their defeats, Scotland failed to build partnerships in the middle overs. Some of their batsmen got decent starts but they were unable to capitalise, making the innings lose momentum. Against Windies, after a strong bowling performance, Scotland slipped to 25/3, then 67/4 and finally 105/5 before ending on 125/5. It’s tough to compete with the weather, but Scotland will wish they had been a bit more careful early on chasing what was a relatively small target. That said, Coetzer, the captain, was spot on when he said after the Windies game, “I couldn’t say any more for our guys, they’ve been absolutely outstanding". They were. 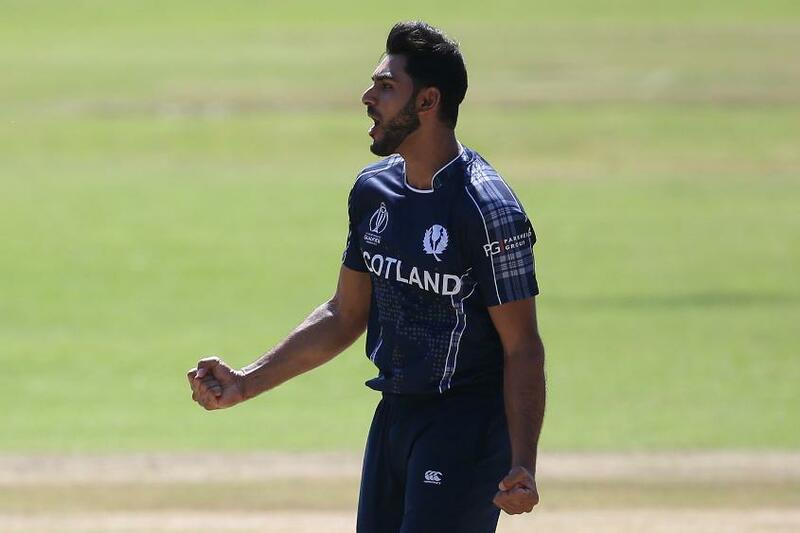 Safyaan Sharif is just 26 but has been around for a long time, having started his international career in 2011 and steadily making a name as Scotland’s pace frontman. The right-arm seamer finished up with 17 wickets, the most for his side and, at the time of Scotland’s exit from the tournament, the most by anyone. Nippy and able to find movement in both directions, Sharif reserved his best for the big game against Zimbabwe, returning 5/33. He was also outstanding against Windies, sending back Chris Gayle first ball and Shai Hope soon after on his way to 3/27. There wasn't a single match where he went wicketless.